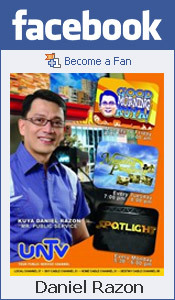 Congratulations UNTV Life and Kuya Daniel Razon for the Pagpapahalaga Award from DSWD! 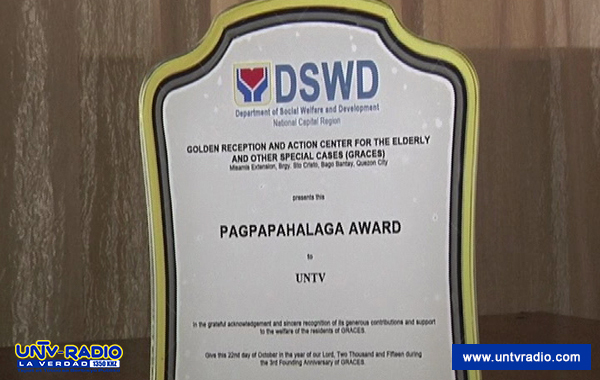 The Department of Social Welfare and Development recognized UNTV Life for its generous support to the welfare of the residents of DSWD’s Golden Reception and Action Center for the Elderly and other Special cases (GRACES). The award, given during the 3rd founding anniversary event of GRACES last October 22, cited UNTV and Kuya Daniel’s medical missions as exemplary public service endeavors. GRACES also honored UNTV Life with Maalaga Award last year.